“On Halloween night of 1963, six-year-old Michael Myers stabbed his sister to death. 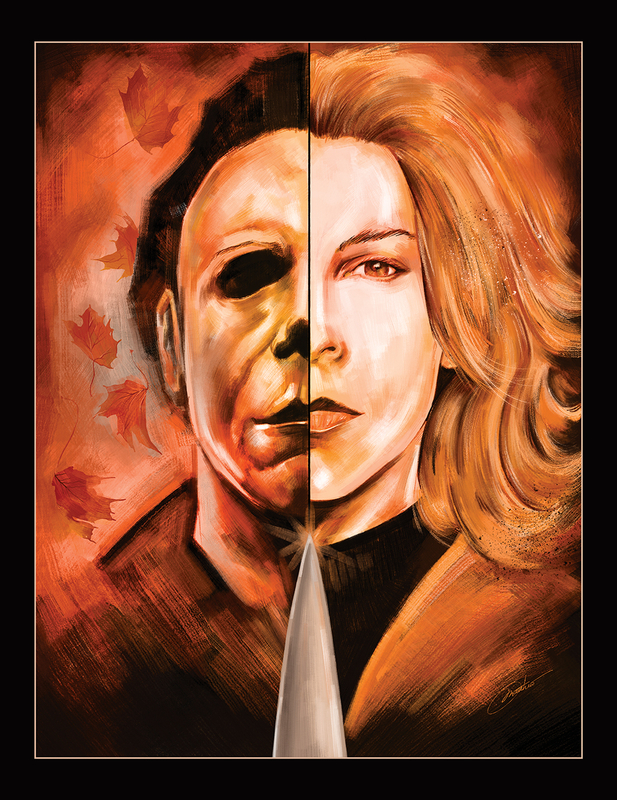 After sitting in a mental hospital for 15 years, Myers escapes and returns to Haddonfield to kill.” The second in the series of “Final Girls & Cinema Survivors” – paying homage to some of the most iconic heroes in the horror and film genre. Printed on fine art, heavyweight stock with archival inks.